President Yoweri Museveni has urged the Iteso to stop tribal segregation and focus on general development and integration of all Ugandans and Africans. At the launch of the Iteso Cultural Heritage Gala yesterday, Museveni said: “Stop over identifying yourselves as Atekele and work for the prosperity of Uganda and Africa at large. He added: “If you concentrate so much on identity that I am an Atekele, the other people will also mobilise themselves and you end up colliding thus forgetting about prosperity. “The Iteso of Tororo have said more but the question is ‘who are you quarrelling with?’ Are Badama enemies of Uganda”? 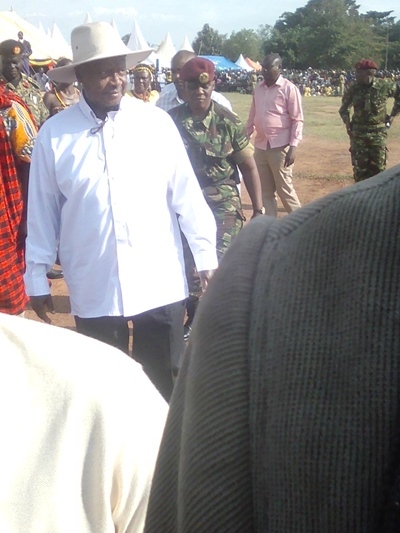 The president’s remarks were mainly targeted at the Iteso of Tororo as their representatives, including MPs, pleaded with him to intervene in the tribal conflict between the Iteso and the Jopadhola. Kenya was represented by Iteso from Turkana, and South Sudan by the Nyamatong led by Gladys Ateker. The Iteso from Ethiopia and those from Uganda were represented by Iteso from Karamojong, Teso land and Tororo. Ateker, whose name means the most beautiful lady among all Iteso from all the Atekele family, urged the Itesots to stop fighting each other and embark on social development. ” If you kill one person you will never see that face again,” she said.